If you find yourself back-to-school shopping at Target, check out their new Cat & Jack™ line which is all about Tough Cotton™, a soft fabric designed for children that becomes stronger with every wash. Tough Cotton™ was developed by Cotton Incorporated when they saw a need for cotton fabric with improved abrasion resistance and fabric strength. The technology is integrated into the Cat & Jack™ line of boy’s school uniform pants and girl's leggings and fashion pants. As the line states, Cat & Jack™ clothes are "made for playing, dressing up & adventuring." The cotton products have an extra durable knee and are guaranteed to last. Shop the Target Cat & Jack™ brand here. Or, shop a wider array of Tough Cotton technology adoptions here. Cotton producers will face many challenges in the coming decades, including those caused by changing climates, regulations, resources, and costs. 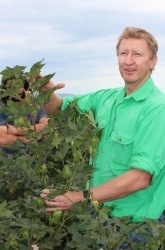 Research and the improved strategies needed to address these threats will rely on a better understanding of cotton plants and their complex interactions. 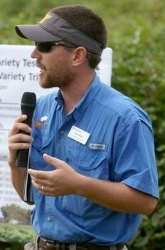 A new Focus on Cotton webcast titled “‘Cotton Physiology’ the Cornerstone of Future Cotton Science” helps cotton growers, consultants, and other industry experts understand how the plant’s natural properties, resilience, and interactions will guide the improvement of best practices to sustain high quality, profitable cotton crops. In mid-August, The Cotton Board hosted their second annual “Women in Ag" tour of Cotton Incorporated as part of the Producer Tour Program. There were over 35 tour attendees representing various states across the Cotton Belt. These attendees represented a wide array of segments of the cotton growing community, including: cotton producers, ginners, farm and agritourism business managers and industry relations professionals. The group heard from key leaders at Cotton Incorporated on what is being done to increase the demand for, and profitability of, cotton. 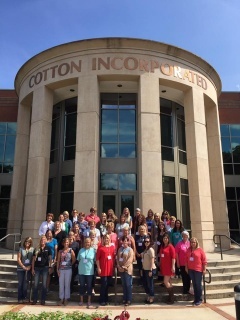 In addition to touring the World Headquarters of Cotton Incorporated, tour attendees were given tips on using social media to become advocates for agriculture from Monsanto's Online Engagement Director, Janice Person. 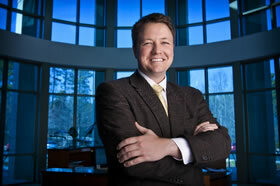 The Cotton Board plans to host another Women in Ag tour next year. If you, or someone you know, is interested in attending, please contact your Cotton Board Regional Communication Manager. Proper management of soil nutrients and fertility is critical for maintaining efficient cotton growth and stable returns year after year. A new Focus on Cotton webcast titled “Managing Cotton Fertility” helps cotton growers, consultants, and other industry experts maintain consistent soil nutrient levels to avoid negative impacts on yield and unnecessary fertilizer expenses related to over- and under-applications. Cotton prices have found a little stability recently, and have been hanging out between 68 and 69 cents/lb. Many areas in West Texas have gotten rain and temperatures have finally started to ease, but additional moisture would be welcomed and there is a chance for additional precipitation this week. In the latest crop condition ratings, the proportion of the Texan crop rated poor or very poor held steady at 25%. A year ago, only 11% was rated poor or very poor. Georgia has also seen some deterioration, with 13% of the acreage rated in poor or very poor condition. A year ago, the second largest producing state had only 6% rated poor or very poor. Mississippi, Missouri, Arkansas, and North Carolina are other states with trouble spots, with each of these states having 10-11% of acres rated poor or very poor. Despite the presence of difficult conditions in several states, development is on track, with the proportion of the crop setting bolls and with bolls open right on the 5-year average. Lower abandonment in Texas is a factor keeping the national crop number up, if conditions remain tough, we may have to keep an eye on quality. Taking a look around the world, planting has been winding down in India, and it looks like they will end up with something like a 10% decrease in planted acreage this season. However, India did get good rain and expectations are that solid yields could make up for some of the decrease in acres. The USDA has Indian production increasing year over year. As with all USDA numbers, the Indian crop figure is subject to revision. India is the second largest exporter, and therefore a competitor for US cotton in international markets. A smaller Indian crop means India will have less to sell, and that could be helpful for our exports. We may need some help, since we are expected to be growing three million more bales than a year ago. With China expected to hold imports at low levels, moving those three million bales extra bales of production could be tough. Whatever we don’t ship will end up as stocks, and therefore weigh on prices.